Holiday e-commerce sales in the US are expected to grow by 16.2% to $123b this year, according to eMarketer. 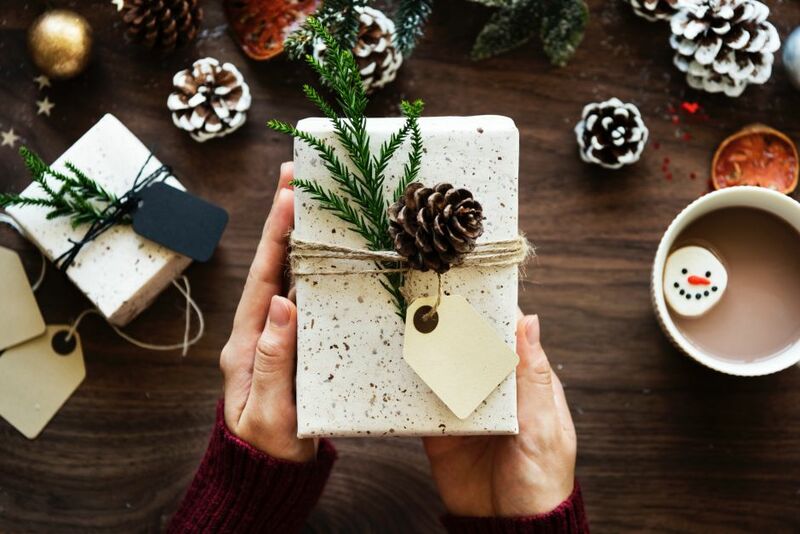 Even though promotional days like Black Friday and Cyber Monday are behind us, there is still plenty of time for publishers to share gift suggestions and shopping guides to maximize the revenue opportunities available in Q4. To help, we’ve rounded up a curated selection of Awin brands perfect for your affiliate marketing efforts this holiday season. FabFitFun is a limited edition, seasonal gift box delivered to your doorstep four times per year. Join the FabFitFun program here. SkinStore is the ultimate destination for hair, beauty and all things gorgeous, with over 16,000 products and more than 30 brands. Join the SkinStore program here. VITL offers at-home nutrition tests and personalized vitamins tailored to someone's goals, diet, and lifestyle so they can feel their best more often. Join the VITL program here. Mankind aims to select the very best and most innovative shaving, skin and hair care brands made for men, and offer them in a way that makes buying simple, fast and fun. Join the Mankind program here. Leota is a leading US women's clothing brand designed by women, for women, to flatter a range of body types with the perfect amount of pretty and practical. Join the Leota program here. Skinnydip is an iconic British lifestyle brand born in London but popping up all over the globe. Skinnydip creates fashion for the cool and the kind, and try to make positive change in the world. Join the Skinnydip program here. Trendy Butler is an exclusive and diverse men’s apparel subscription service that personally caters to each user’s style preference, size and overall personality. Join the Trendy Butler program here. Wohven is a premium men’s t-shirt subscription service. Users simply choose whether to receive blank or graphic tees, then sit back and watch the stylish shirts roll in every month. It's that simple. Join the Wohven program here. Cookies Kids offers a vast selection of school uniforms, as well backpacks, shoes and many other accessories. Cookies Kids prides themselves on being the absolute one stop shop by offering the lowest prices and the largest size selection. Join the Cookies Kids program here. Sentry Baby Products is an infant and child safety company dedicated to developing and distributing the next generation of innovative child safety products. Join the Sentry Baby Products program here. AliExpress is an online international marketplace. On AliExpress, buyers from more than 200 countries and regions order items in bulk or one at a time — all at low wholesale prices. Join the AliExpress program here. Ozobot’s mission is to inspire young minds to go from consuming technology to creating it. Ozobot makes Evo and Bit, pocket-sized coding robots that come with infinite ways to play, create, and share. Join the Ozobot program here. 2Modern is a modern furniture and lighting retailer and curator for upscale modern design. Their site offers new names on the design scene, trend reports, and weekly design editorials. Join the 2Modern program here. iwantoneofthose.com offers unique gift ideas, cool gadgets and homeware gifts for everyone on the shopping list. Join the iwantoneofthose.com program here. Thoughtfully creates remarkable gifts that tell a unique story and develop a memorable experience for the recipient that is designed to delight them. Join the Thoughtfully program here. Martha & Marley Spoon sends pre-portioned, seasonal ingredients and Martha Stewart's trusted recipes directly to your door. Join the Martha & Marley Spoon program here. HP is always reinventing, creating new possibilities for technology to have a meaningful impact on people, businesses, governments and society. Join the HP program here. Overnight Prints is a leader in high-quality yet affordable, full-color printing solutions for small businesses and consumers who demand perfection. Join the Overnight Prints program here. Paperchase is a leader in innovative, design-led stationary, cards and gift wrap. Join the Paperchase program here. Etsy offers a meaningful and personal shopping experience to consumers, and gives independent, creative businesses around the world the tools to be successful. Join the Etsy program here.